Chances are that you might get into some depressed troubles: eliminate needless portions to keep your AVI video smaller, remove troublesome ads to get better watching experience, shrink large video for later sharing. As is often the case, an appropriate AVI cutter can make sense. Here to give you the ultimate support, we mainly share 6 best free AVI software. Just check the list out. 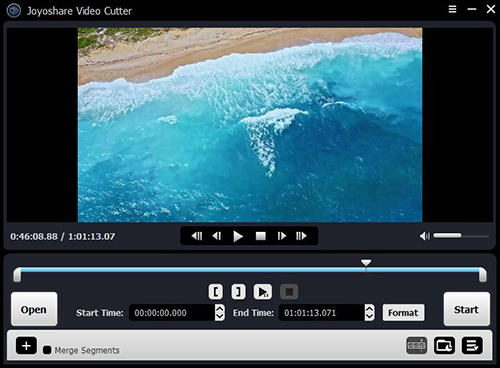 TunesKit Free Video Cutter is a superb free video cutter for beginners to deal with large AVI video files. With it, you can get rid of any unwanted portions readily. Alternatively, it can do a good job in more aspects. Apart from AVI, you can also use it to trim and join videos in different formats, like M4V, TS, MP4, MPEG, 3GP, WMV, MOV, DAT, FLV, MKV, RM, MPG, etc. Essentially, as a timeline-based AVI cutter, it can precisely select clips for you and at the same time simply cut excess parts without damaging original high quality. Anyway, if you have no experience in cutting AVI files, try this lightweight tool. As its name suggests, AVI Cutter is specialized in cutting AVI videos. Simple as it is, you just ought to select specific region you want. With nothing hard to use, you can feel free to change ratio, adjust volume, show frame step and control speed. Even though this free AVI video cutter can carry out cutting task in a fast and simple manner, it also comes with drawbacks. Among them, the most notable one is the limited format support. Only AVI video can be processed, which makes it inconvenient for the users who have diverse needs. 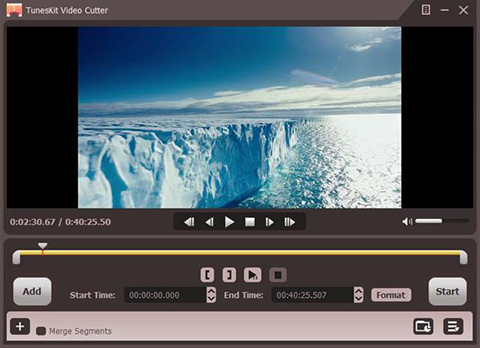 Weeny Free Video Cutter is another straightforward tool provided. It includes full support to deal with nearly all prevalent videos, such as AVI, FLV, ASF, MP4, VOB, MPG, WMV and RM and more. With an intuitive interface, this AVI video trimmer shows a tidy layout for you. There are also customization features offered, with which you can modify the videos order, rename output file as well as adjust output settings, for example, volume, size, codec, bitrate, quality, etc. However, it gives you no option to select additional advanced functions. Providing you with everything useful for you to fit for your needs of AVI editing, Kate's Video Toolkit is commonly regarded as one of the most complete tool with all-in-one solution. 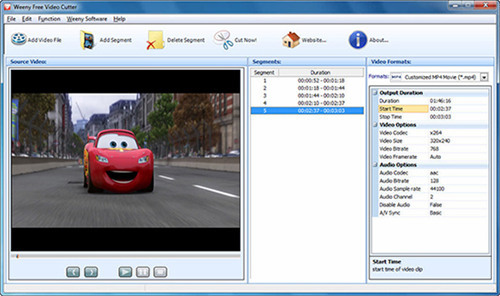 It offers ability to extract audio from video, just like AVI files and any other kinds of videos. Most importantly, it is supportable to handle videos in the formats of AVI, WMV, ASF, DivX, MOV, 3GP and MP4 and so on. Once you apply this AVI cutter freeware, you can also play, convert, join, mix any video files handily. To make your destination video more natural, you are enabled to create transition. This free AVI cutter, Free Video Cutter Joiner, is highly sought after in current market. It can do well in trimming and cutting large AVI videos in fast way. In terms of cutting aspect, it can support almost common formats, including AVI, MP4, MOV, VOB, FLV, WMV and 3GP. Likewise, it can be used to join videos like MP4, AVI, FLV, WMV, MOV, VOB and MPG, in lossless quality. There is an accessible entrance for you to adjust frame rate, sample rate, quality along with size as well. If you just want to do same basic operation, it's actually a good choice. 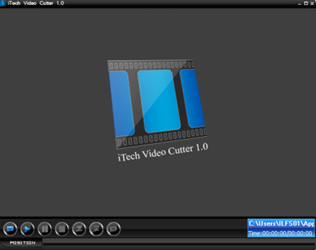 With forthright designs, iTech Video Cutter is a reliable AVI video cutter freeware in majority of users' eyes. It accepts a wide variety of video files, not AVI only, for instance, VOB, WMV, MOV, MPEG, ASF, DAT, WMA, MP3, WAV, etc. Additionally, it is capable of serving as a media player to play any video and audio in full screen for your watching. From its uncluttered user interface, you can figure out what it can do for you thoroughly. Just set both start and end points and preview the result in advance. Without skills requirement, you can totally enjoy your cutting process without hassle. According to your own preferences, you can try any freeware you like. Nevertheless, supposing you are more willing to use a professional AVI video cutter with built-in video editor, here Joyoshare Media Cutter is an ideal program for you to choose. It has powerful ability to cutting and merging AVI videos at 60X faster speed without re-encoding. You can as well create customized video by setting up codec, resolution, bitrate, sample rate, channel, etc. To make your videos eye-catching, it allows you to apply cool effects, crop certain area, adjust brightness, contrast, and saturation, insert subtitle, add personalized watermark etc. in your own way. Note: Remember to try each AVI cutter before you set about utilizing it so that you can clearly know whether it can show wonderful performance in what it does.